We traveled a lot during the first week of April. We went to San Francisco and Los Angeles. Arrived home on Tuesday. Left for the west coast again on Friday. 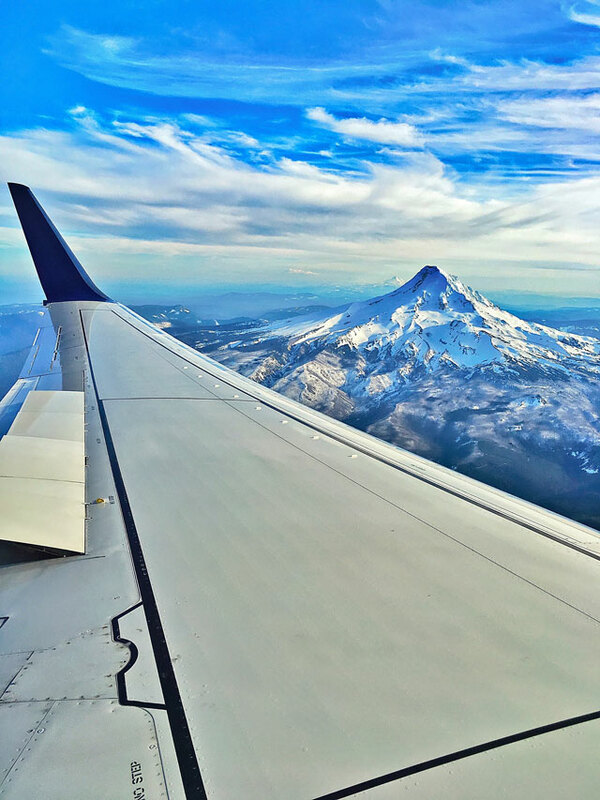 This time we were going to Portland and then up to Seattle. We went to Portland so I could go to the Indulge Conference. It is an awesome conference for bloggers. We arrived just in time for me to go to the welcome party. The conference was all day Saturday, but we were able to squeeze in a lot of eating! I was with food bloggers, so we know how to get it done! The welcome party was held near the hotel at The Original. It is a fancy schmancy diner. I went upstairs to the party while Chicken Legs tried a couple of local beers. After the party, Chicken Legs and I ate dinner. It had been a long travel day, and we were starving! 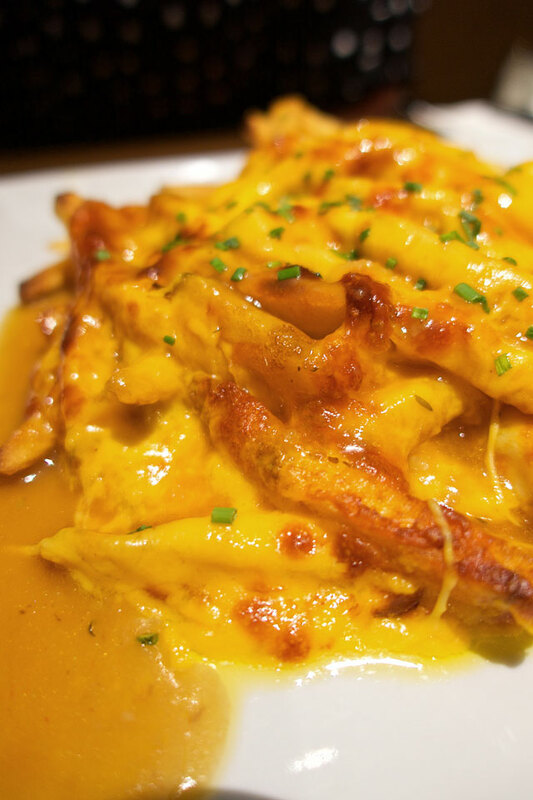 We started with The Original's version of poutine. 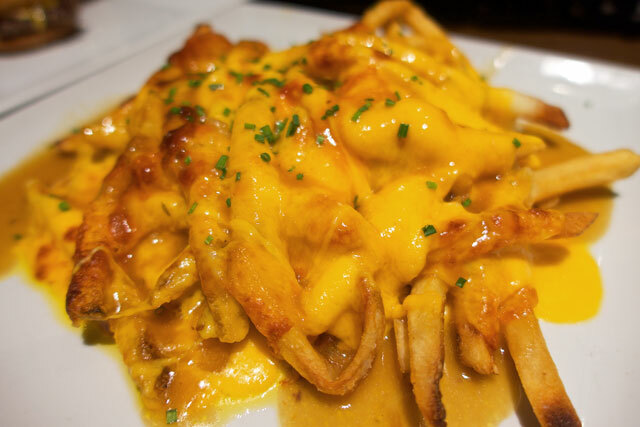 French fries topped with gravy and cheddar cheese. SO simple and SOOOO good! 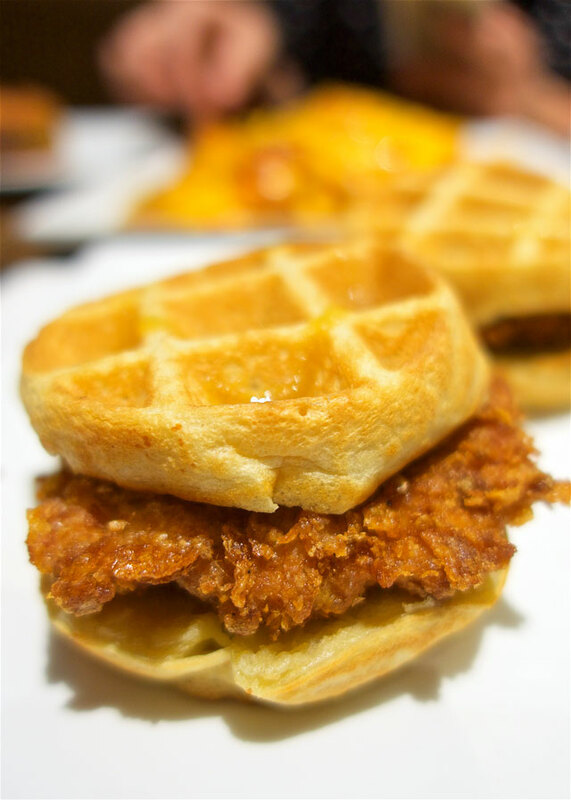 Next we sampled the Chicken and Waffle Sliders. 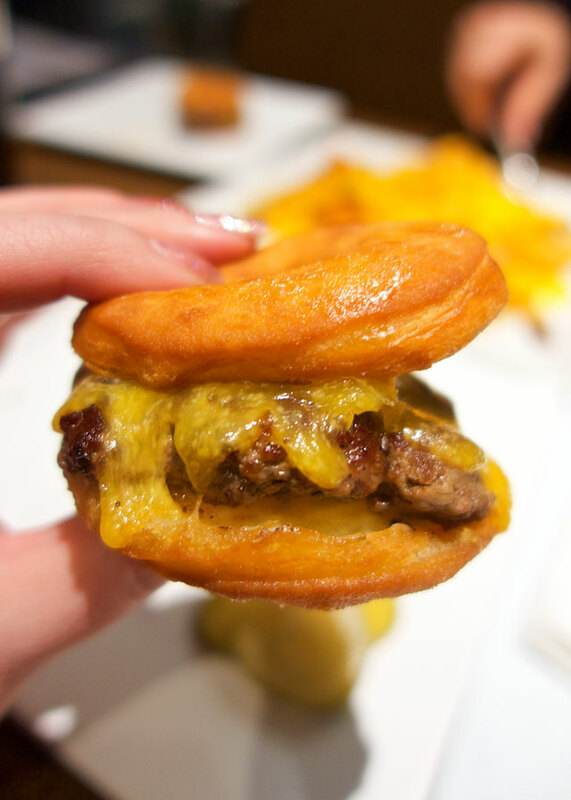 We couldn't pass up the Donut Burger Sliders! Buttermilk donuts, Tillamook cheddar, ground beef patty, donut glaze! They were also the perfect size. 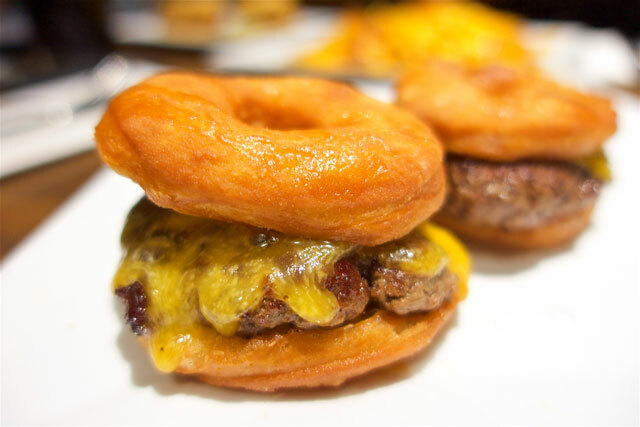 I've had full sized donut burgers. I definitely prefer sliders. 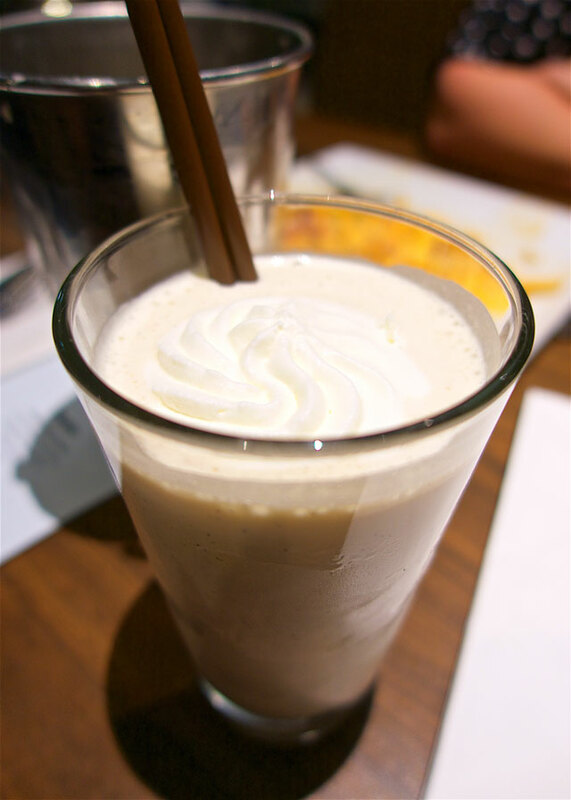 The waiter said they were known for their boozy milkshakes. 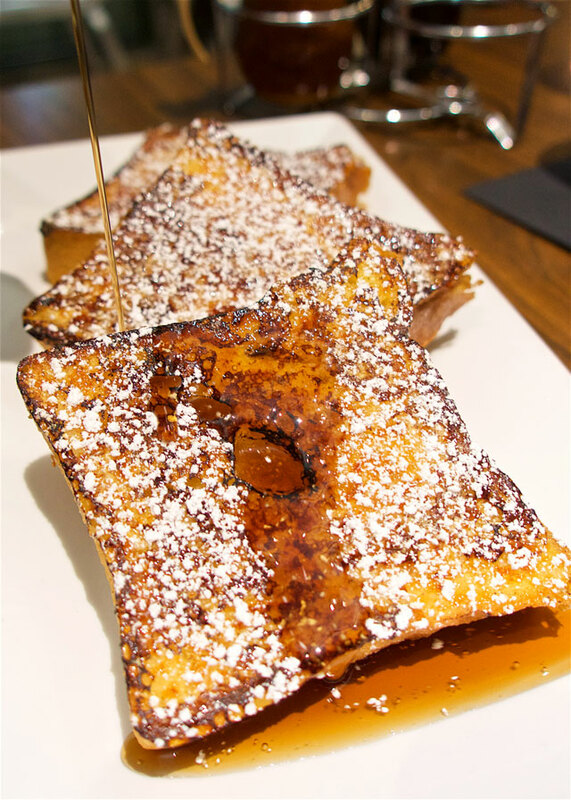 The Creme Brûlée French Toast is on my list of things to recreate from this trip. Loved the crunchy sugar crust! 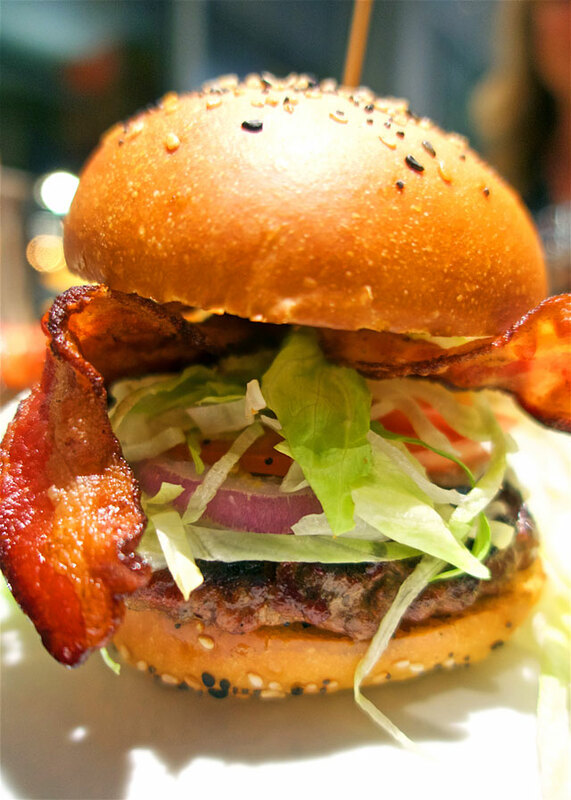 Since the Donut Burger Sliders were so good, we had to try the regular burger. The Original had SO many other things we wanted to eat. We will definitely have to come back on our next trip! 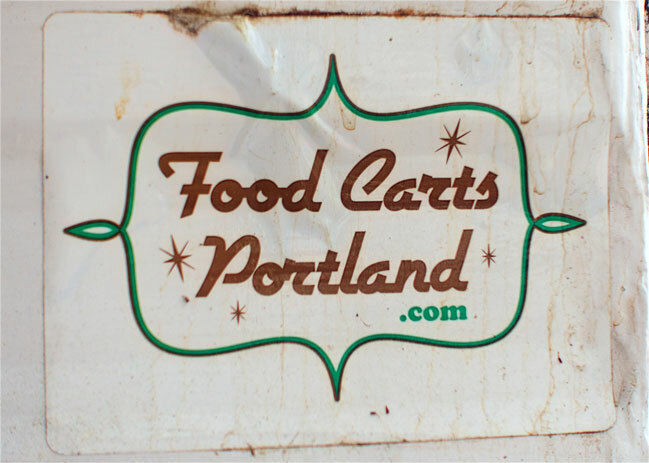 Portland is famous for donuts. 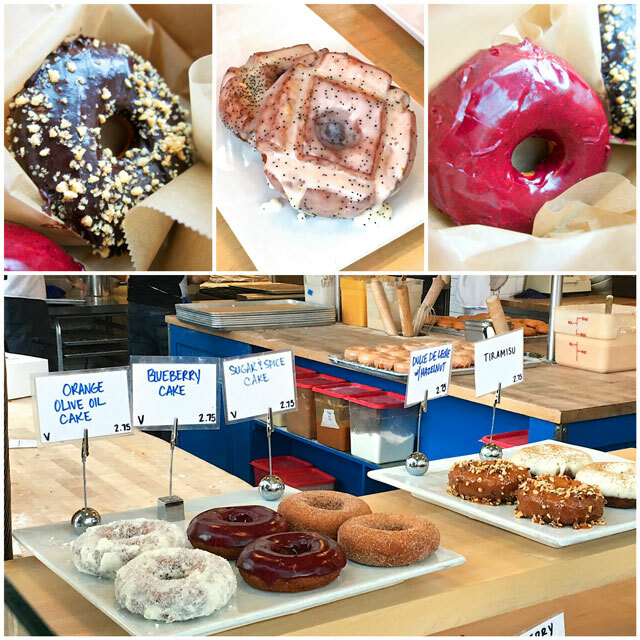 We walked over to Blue Star Donuts during a break at the conference. There was a line, but fortunately it moved fast. My favorite was the Lemon Poppyseed Old Fashioned Donut. I wouldn't kick any of them out of my house. They were all good! They are only open until they run out of donuts. Voodoo Doughnuts are THE place for doughnuts in Portland. Fortunately they had some at one of our conference breaks. 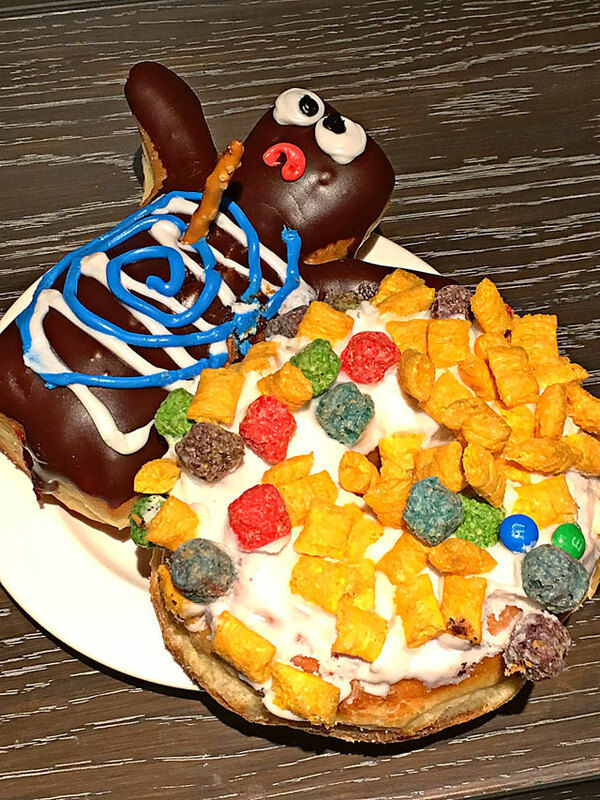 They do fun and funky toppings on the doughnuts. Oreos, Capn Crunch cereal, maple and bacon and cotton candy to name a few. I must go to the store next time in town!! We had a long lunch break at the conference. Plenty of time to enjoy the food truck parks near the hotel. 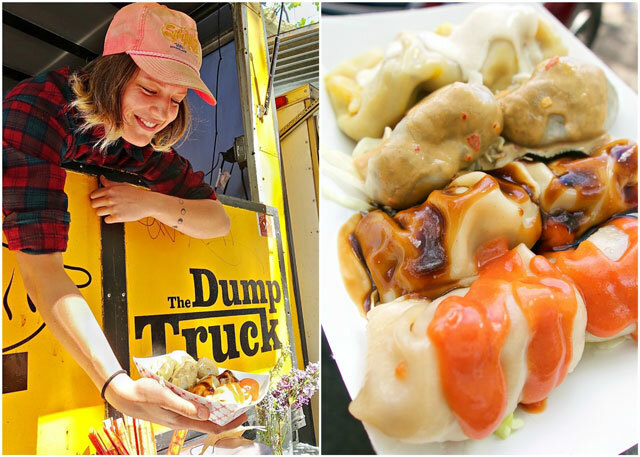 The Dump Truck is a dumpling food truck. They were all delicious! I was partial to the Bacon Cheeseburger dumpling. 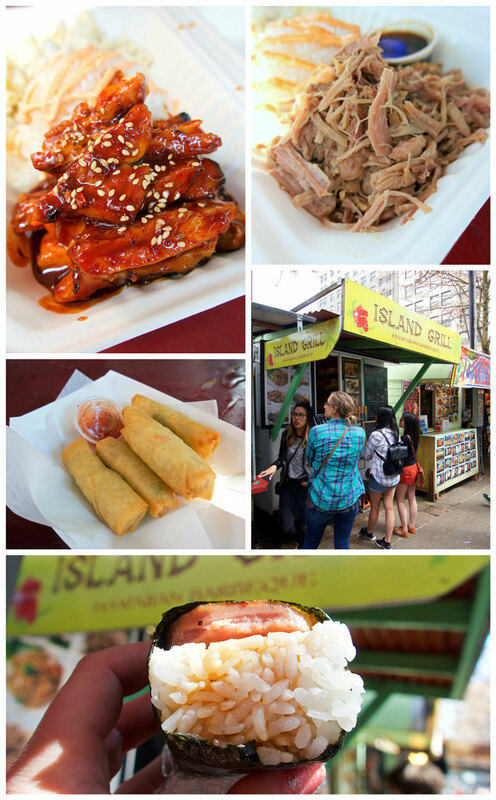 There was a huge line at Island Grill (Hawaiian BBQ), so we knew it would be good. We tried several things. The Kahlua Pork, Spicy Chicken, Egg Rolls and SPAM Sushi!! This was our first time eating Spam Sushi. Our group was divided. Chicken Legs LOVED it. He ate it all! Now he wants to go to Hawaii and eat the real thing. My chicken was fabulous. It was all great. The Frying Scotsman is famous for their Fish and Chips, but they also have a CRAZY good dessert! It is a Milky Way dipped in the fish batter, fried and covered in sugar. 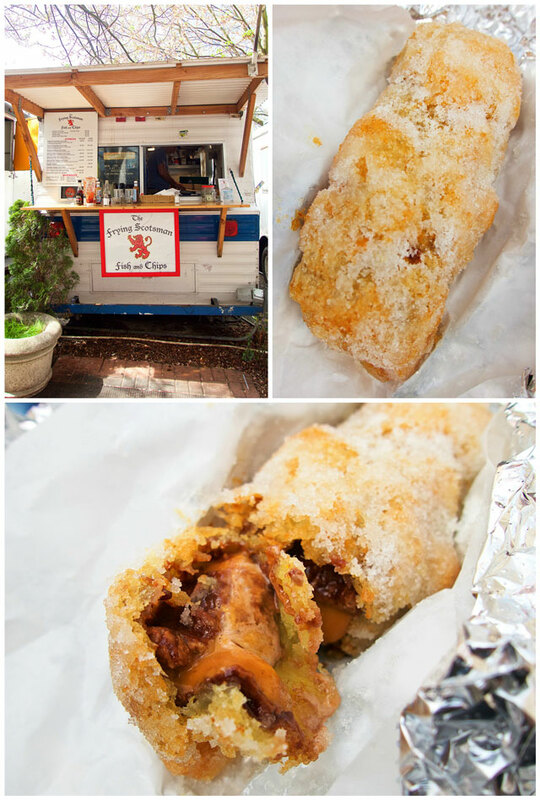 I think it is a must when you are walking around all the food trucks. We decided to eat dinner with all of our friends before driving up to Seattle. 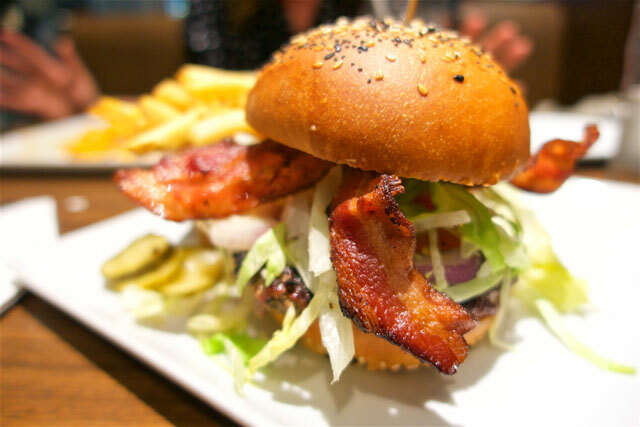 We walked over to Tilt for some good burgers and fries. This was our favorite! Chicken Legs got this. I was jealous. 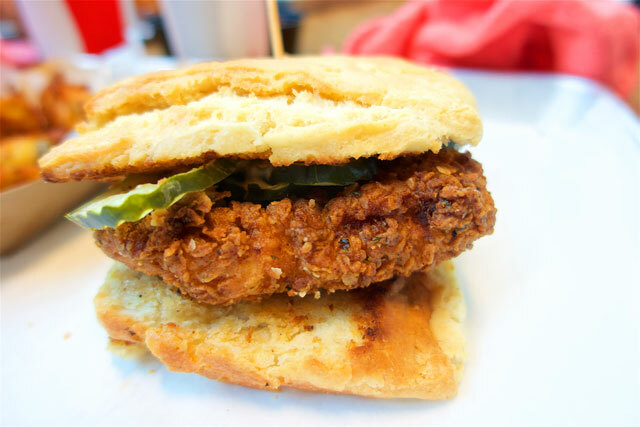 Since Chicken Legs got the chicken sandwich, I decided to try the burger. 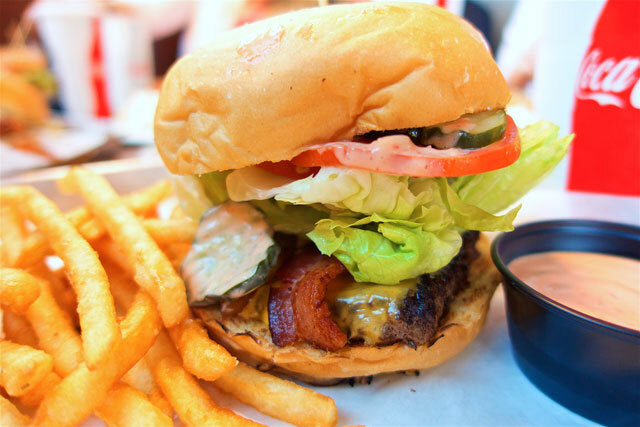 It got a Bacon Cheeseburger with extra Tilt Sauce. Tilt Sauce is their version of Comeback Sauce or Guthries Sauce as I know it. 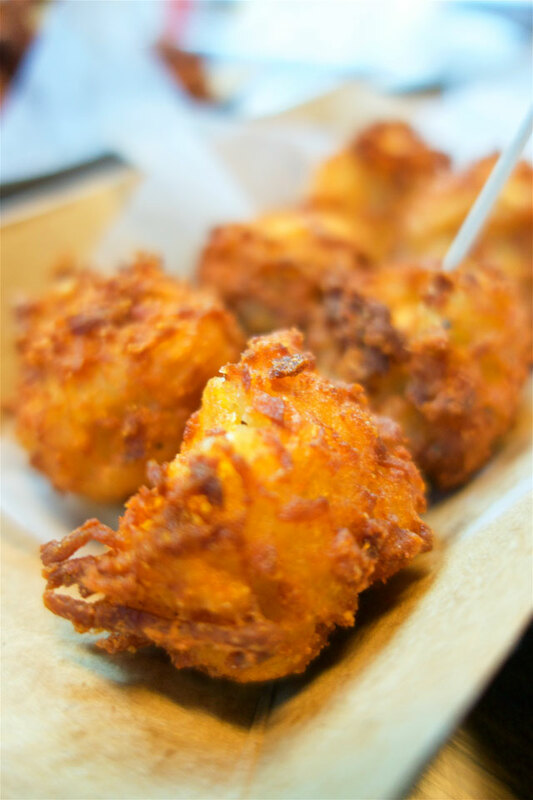 Tilt has CRAZY good homemade tater tots. They were honestly the best tots I've eaten! 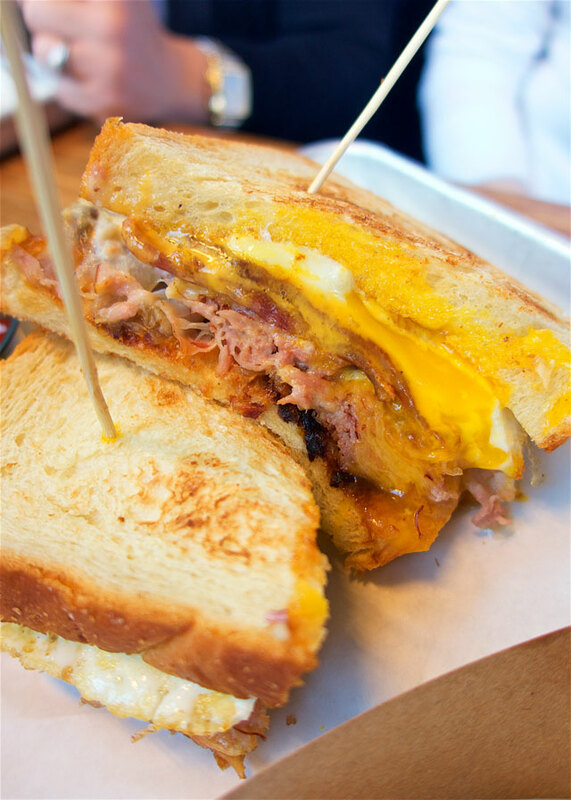 I dream about this Carbonara Sandwich! Sweet ham, bacon, grilled onions, egg, American cheese and homemade alfredo. Look at it! It was amazing! Since we didn't eat enough today, we got dessert. 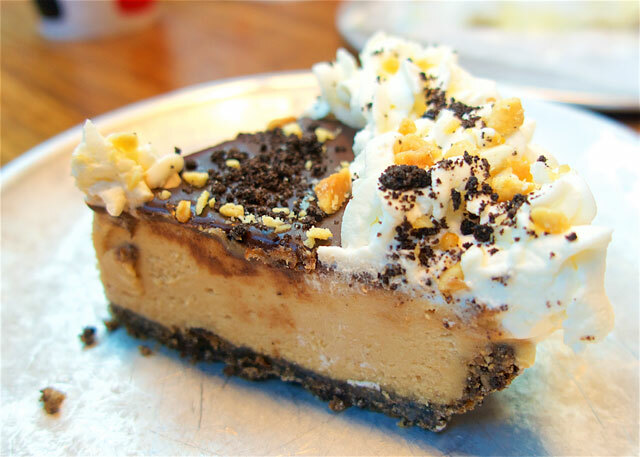 The peanut butter pie was super yummy. 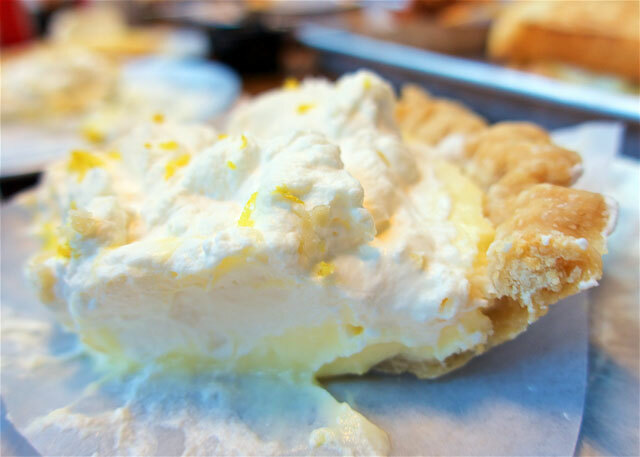 This Lemon Sour Cream Pie came highly recommended. It did not disappoint! It was delicious! The atmosphere at Tilt was super laid back. The restaurant was in a warehouse type building. They open the doors and everybody is kind of indoor/outdoor seating. They have seats that are completely outside. It was super crowded when we were there. We were lucky to snag a table for all 8 of us! I wish we had more than 24 hours in Portland. I would have loved to explore the sites! At least we got to eat a ton of great food!! After we ate we walked (more like waddled) back to the hotel and got our car. Chicken Legs drove us up the road to Seattle. Stay tuned to hear about our Seattle trip. Spoiler alert - we LOVED it!!! Hood and stop at Joe's donuts in Sandy, OR! 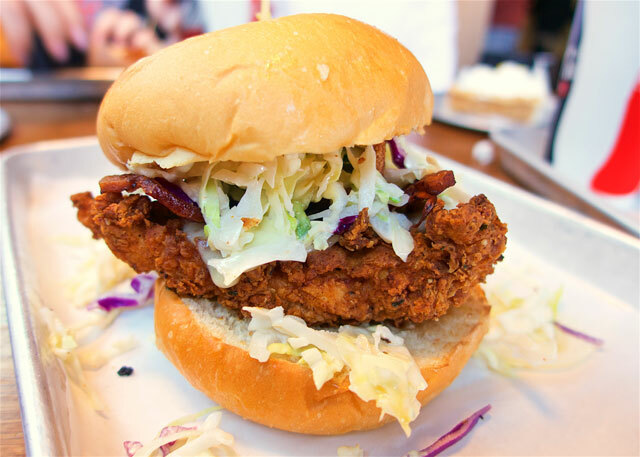 I'm from Portland too and Joe's is by far my favorite. I was so excited to see it mentioned because nobody ever seems to know about it. 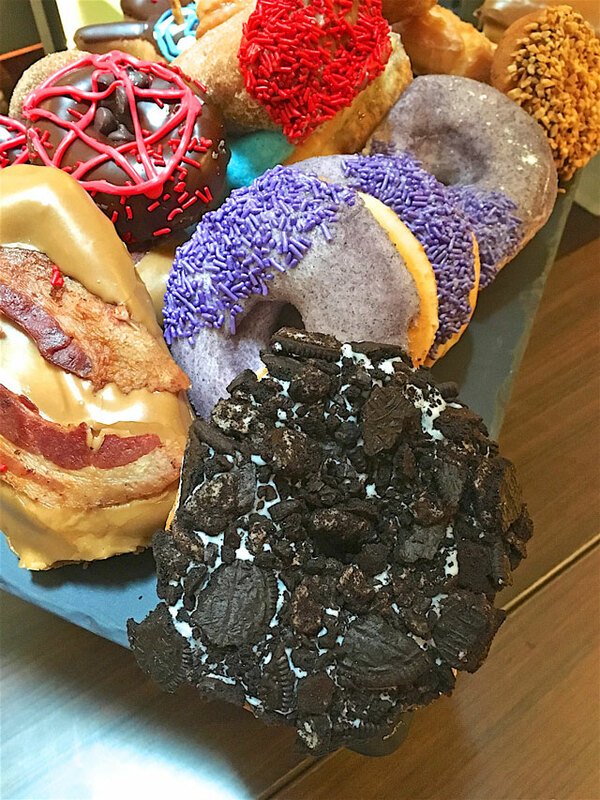 Voodoo is not actually amazing donuts, just a weird experience. And how many pounds did you gain on this trip?? Tilt!! The sandwich with alfredo sauce is my favorite! What an amazing food town ! The photos were almost three dimensional - how cruel !